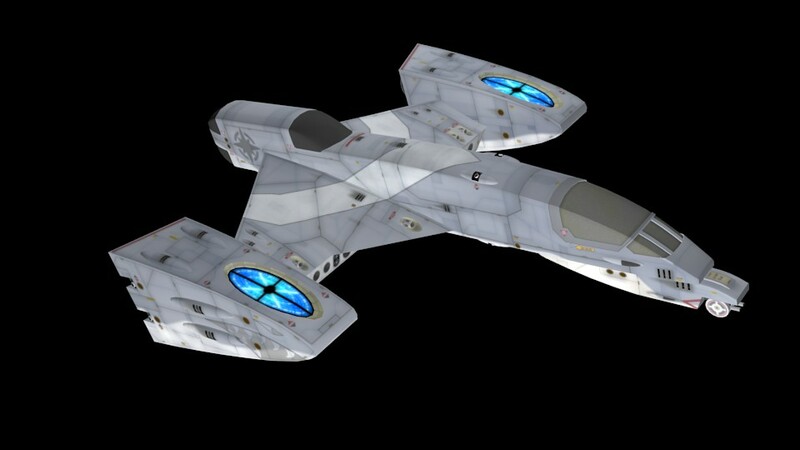 There's a new poll out today that challenges you to think about what Wing Commander product fans would most like to have by their side if they were stranded on an island. Is the goal entertainment or survival? There's lots of great choices, but you can only pick one! The old poll asked who Wingnuts would like to be if they didn't play as Christopher Blair so often. Maniac won, but Vagabond actually had an early lead. Hunter and Iceman also took home quite a few votes. All good choices! 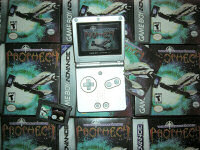 The aptly named Emotional Multimedia Ride blog has posted classic reviews of both WC1 and WC2. It helps that both games are bundled together in a very affordable GOG bundle! The articles are written in a way that highlights their strong points and enduring charm after two and a half decades. There's coverage of the story and then of the factors that make the games continue to stand out today. Another benefit of the GOG pack is that it comes with all four expansion packs, and it's nice to see that even they are included in the profile as well. 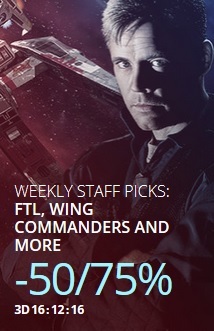 I briefly write about Wing Commander here at the CIC almost every day, but long (or even medium length) pieces aren't my thing, so I always enjoy seeing other people picking up the pen and sharing their thoughts on the series from a perspective like this. You can find the full reviews here. 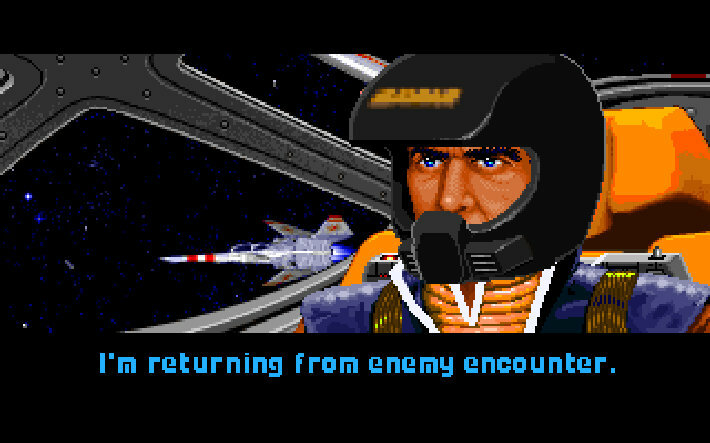 Long before X-Wing or TIE Fighter made epic battles in space possible, Origin Systems’ Wing Commander laid the cinematic groundwork for the space combat sim genre. 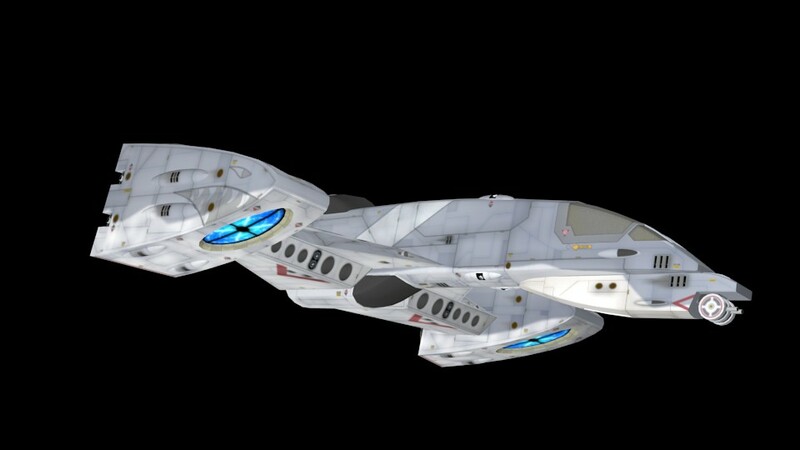 DefianceIndustries has completed his Vampire model, and she's a beauty! Both the external renders and in-game shots show off the fighter's slick physique. 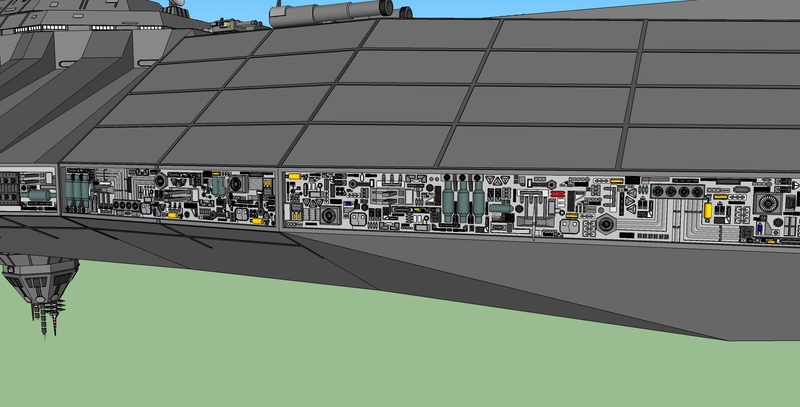 The engine intakes have a cool pattern to them, and there's just a hint of artsy shark paint on each vectoring nacelle. 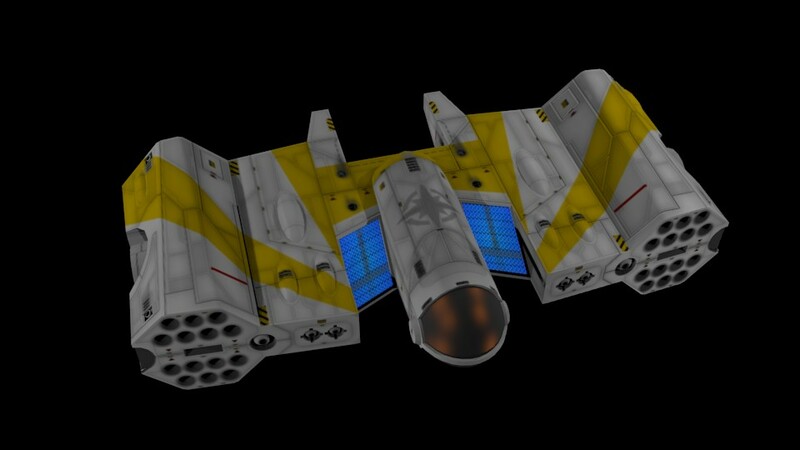 With each of the Confed fighters complete, work moves on to Nephilim craft and Confed bombers/support ships. Here she is, the Vampire! 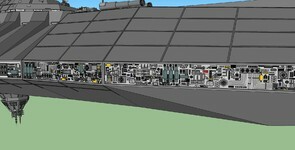 I should take a moment to acknowledge that the MUP has reached its first milestone: conversion of all Confed fighter craft! So again I'd like to thank everyone whose helped this project out getting here! The next two milestones are also relatively within reach: convert all Nephilim fighters and Confed bombers/support craft. 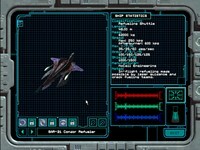 In addition to his guide to Wing Commander 3, PhilsComputerLab has published helpful "tweak guides" for Wing Commanders 1 and 2 as well as Privateer. GOG does a good job of preconfiguring their games to automatically run on most people's systems, but there are a small percentage of folks who encounter compatibility or speed issues. 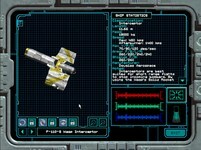 It's not difficult to optimize a setup to run on a specific computer, but people who buy the game at GOG for the convenience factor may not be familiar how to do this. Phil also has some tips on how to potentially improve the graphics and integrate sound emulation to enhance the audio, which could be helpful for everybody! Klavs spotted a Wing Commander reference in a bit of an unusual place. 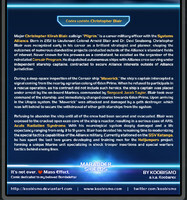 The Mass Effect-based web comic Marauder Shields is a fan made alternate ending to Mass Effect 3. 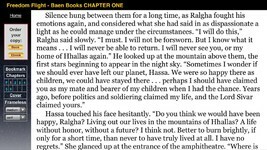 The authors are apparently Wing Commander fans, and they've created a Christopher Blair character to fit into their story. It may be a little difficult for the uninitiated to figure out what's what, but there's actually some deep WC lore baked into Pilgrim's bio! Check out our WCPedia page to distinguished the "fact" from "fiction." You can also find a video intro to Marauder Shields here. 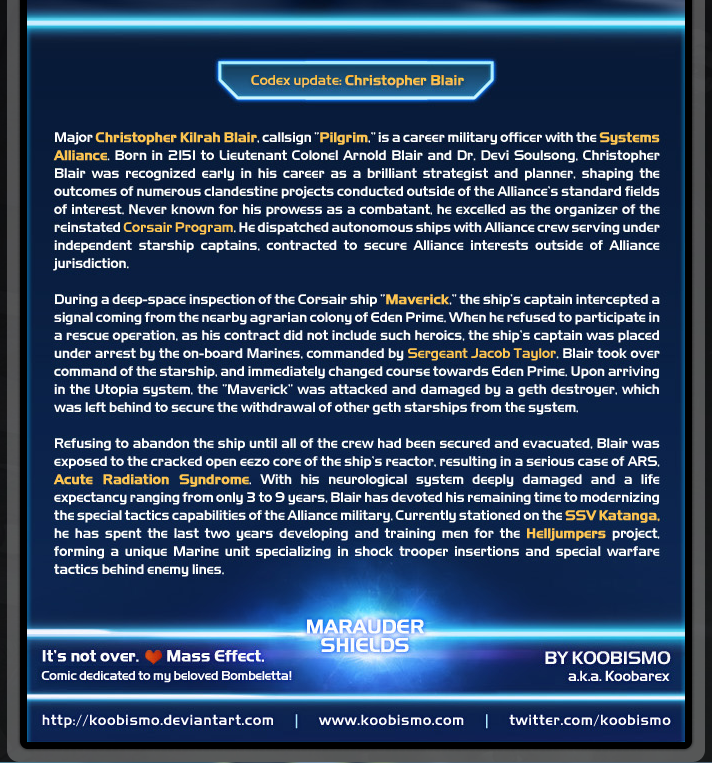 Now THIS is obscure, Marauder Shields, the meme turned webcomic (episodes 1-5) turned SERIOUS webcomic (episodes 6+) has named one of their characters after Christopher Blair. 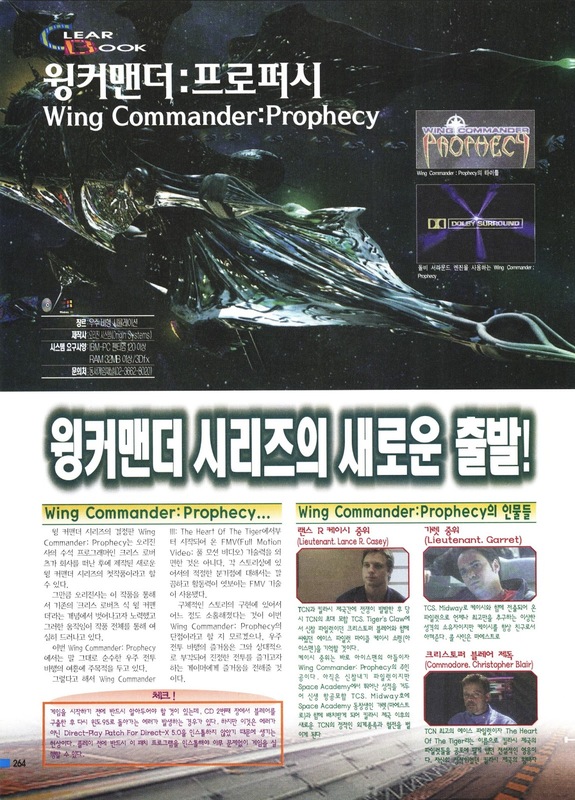 This issue is absolutely packed with Wing Commander references (read the codex below). And you know what? 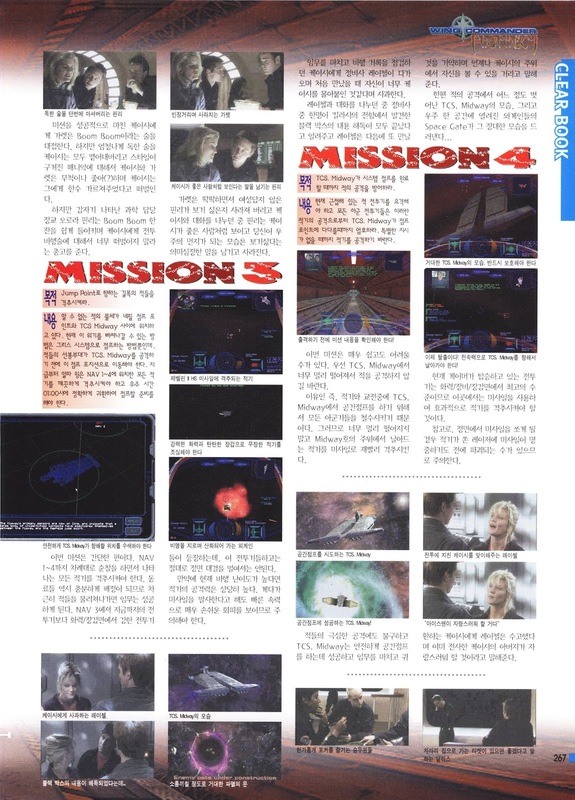 If you've played Mass Effect 3 and were dissapointed with the ending, this actually... kind of helps. The audio episodes are pretty decent, as well. Lightning Picture of the Day recently posted this nifty photo of what appears to be the Wing Commander Movie's Rapiers after construction. 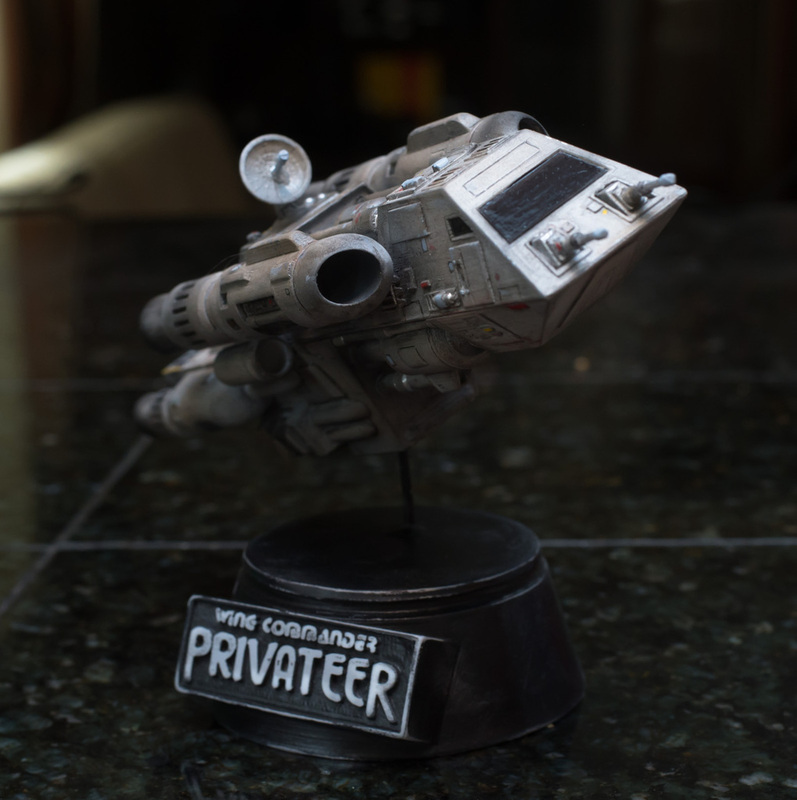 The caption references Pinewood, and if it's the same historic Pinewood Studios, then that would be where Privateer 2: The Darkening was filmed. This somewhat contradicts the info we have for the canopy photos which were believed to have been shot in Luxembourg. No matter where the ships were converted though, this is still a pretty cool look at Rapiers from this perspective. 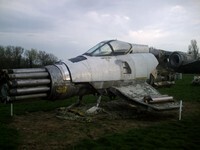 At least one unit still remains at Bricket Wood where it serves as a paintball battlefield feature. 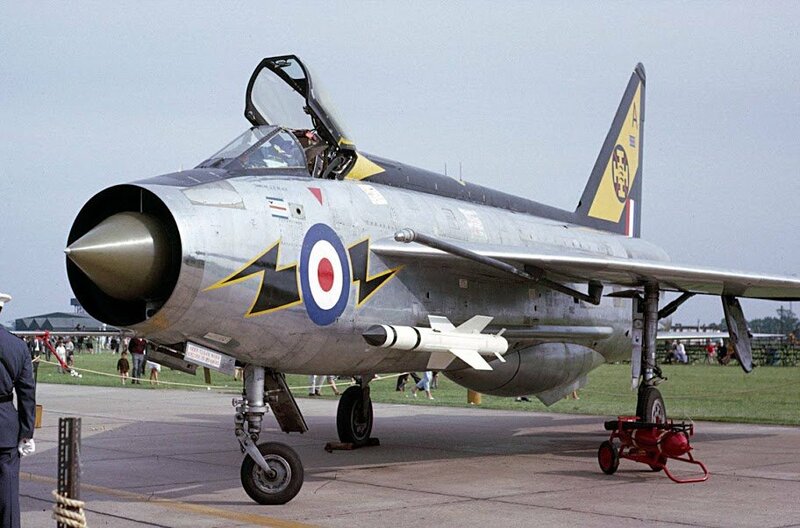 If you're not familiar with the English Electric Lightning, we've also added one of those for comparison. As you can see, they were quite heavily modified for the film! 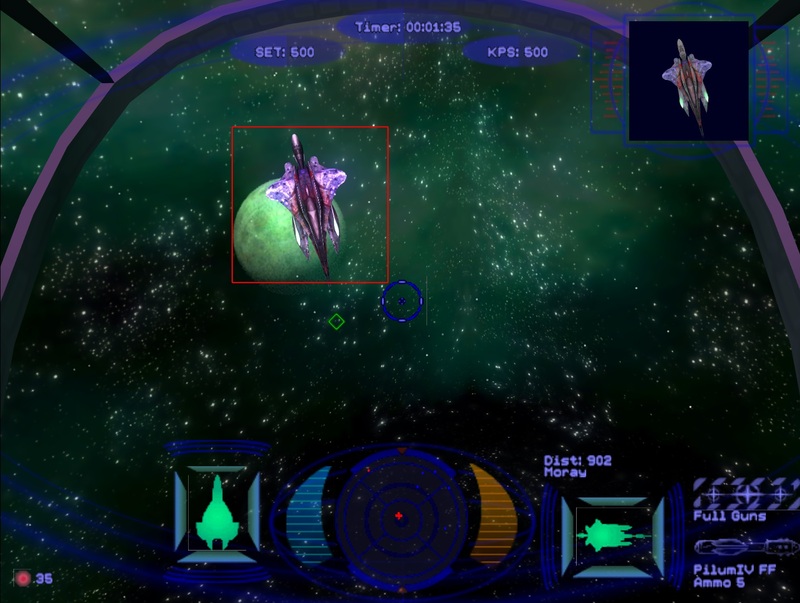 Arraen has posted some new images from his starship combat tribute mod. He's retextured two of Klavs' destroyers to act as workhorses of the Confed and Kilrathi fleets, and both of these are quite solid. 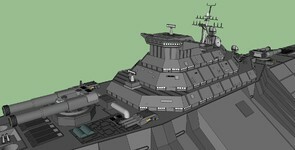 In order to create a counter to the Venture, he's also beefed up the Jalkehi to act as a type of light corvette. 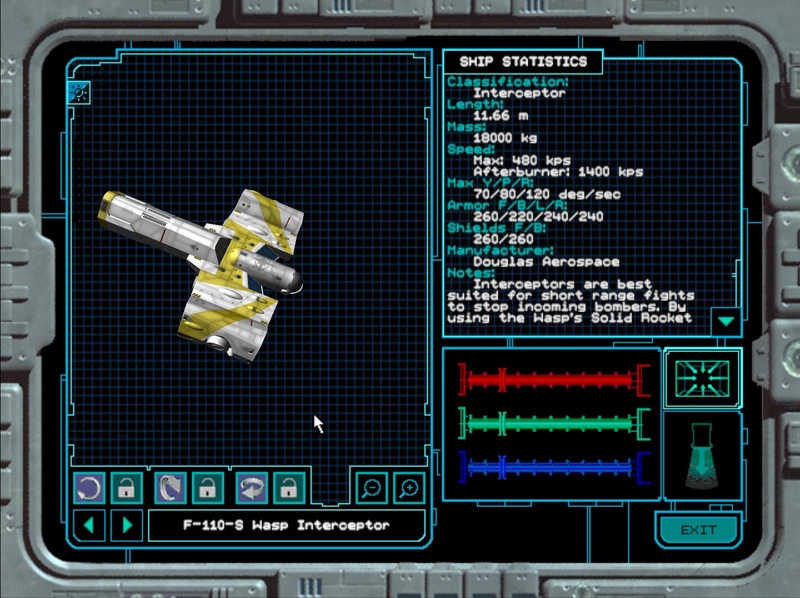 The ships are arranged in the game's built-in ship viewer, which has a pretty cool format. We're looking forward to seeing these in action soon! Ok, finally I finished with updating Klavs81's models, adding textures and splitting them onto pieces such as turrets, missiles, bridges etc. For now I have 4 ships ready: the Venture, Southampton, Jalkehi and Ralari. I'm trying to keep the same classes for both sides. 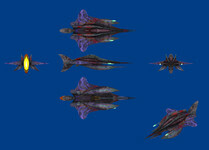 Unfortunately, Klavs81's pack doesn't contain any Kilrathi corvettes. 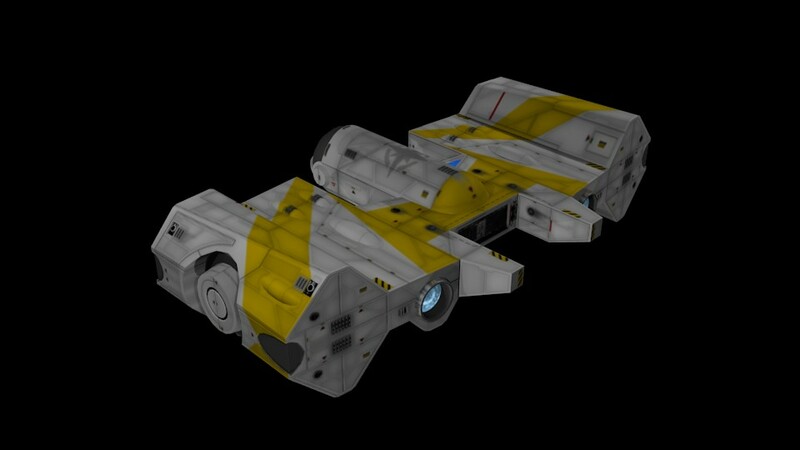 So I decided to "upgrade" the heavy fighter Jalkehi into a corvette class. 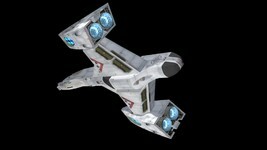 Anyway she has similar tasks and equipped with jump drive. What do you think, guys? 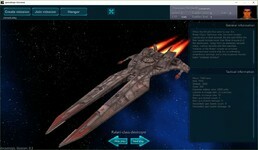 Also the project has a new name: Spaceships Universe. :) Since it is not a strategic game, but online capital ship simulator, I thought the word "tactics" didn't fit here. 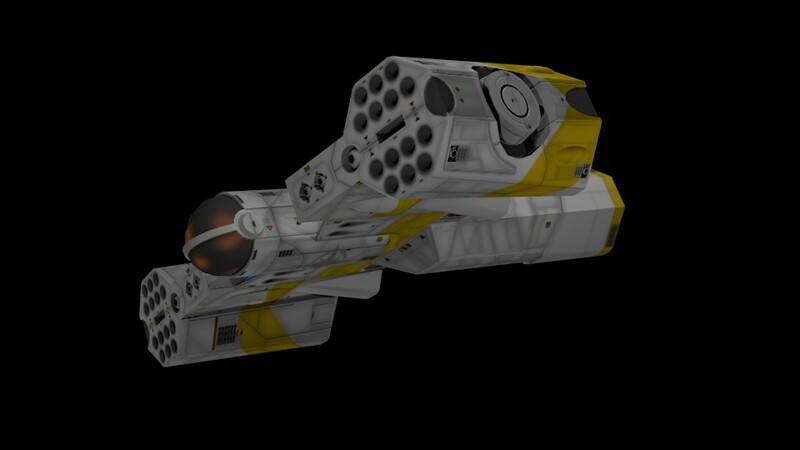 It hasn't been very long since we first saw the upgraded Moray and Wasp models, but DefianceIndustries has already got both running smoothly in the Vision Engine. The Nephilim medium fighter is a very common sight in contested space, so it's nice to see how good looking it is out there. And of course, they'll look even better as they're being shot down! 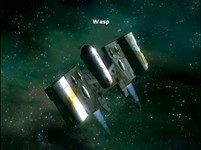 The Wasp looks sharp as well - it has a very reassuring presence. 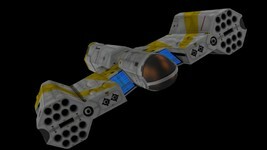 If you've got a few of these interceptors on your flight deck, you can hold off quite a strike force! Warren Spector has been away from making games directly for a few years, but he's hopping back into it with the development of System Shock 3. 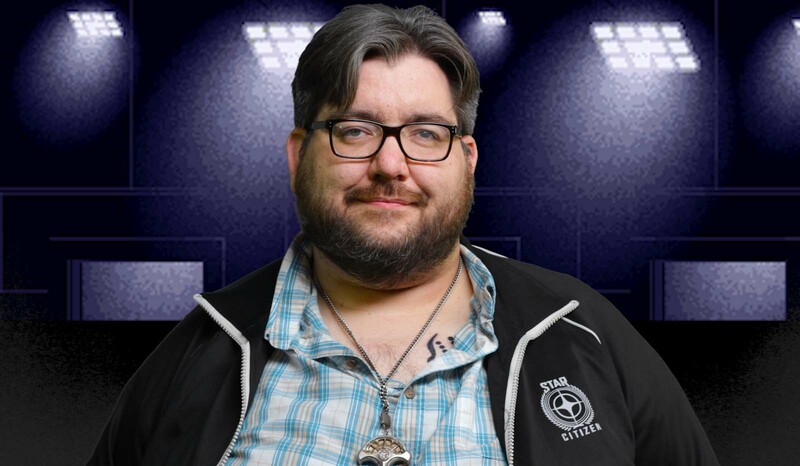 Gamers Nexus recently caught up with him and asked some questions about the gaming industry. 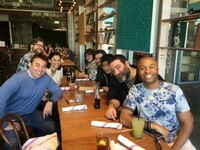 Discussion quickly turned to the classic Origin days and company history. Warren always has good insight on the nature of interactivity and storytelling, so it's interesting to hear what he has to say. It's great to see some of the experienced vets jumping back into the fold to share their wealth of knowledge with the next generation of developers. 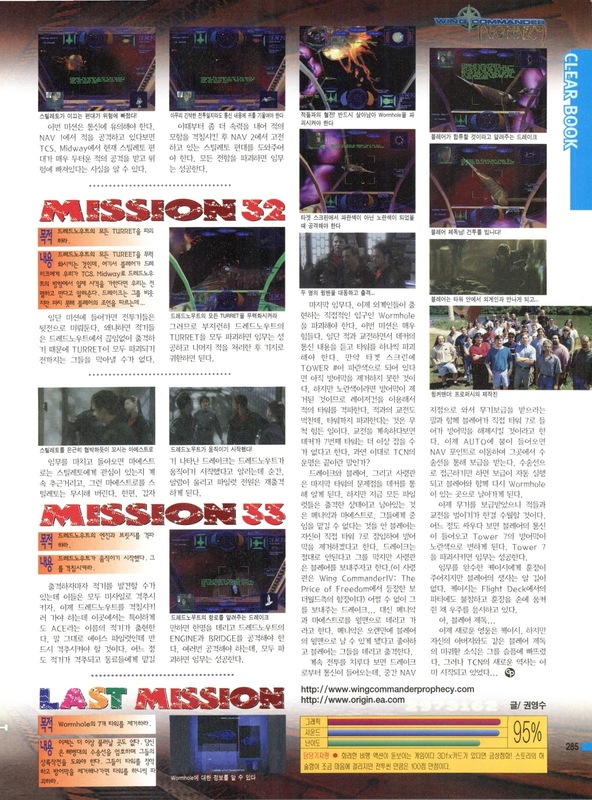 There's also an accompanying text article that you can find here. Gamers Nexus also turned the camera on Chris Roberts and Richard Garriott last year in a funny clip that we missed at the time. While sitting around waiting for the interview to begin, the pair geeks out on the topic of space physics in zero gravity. It's pretty great! 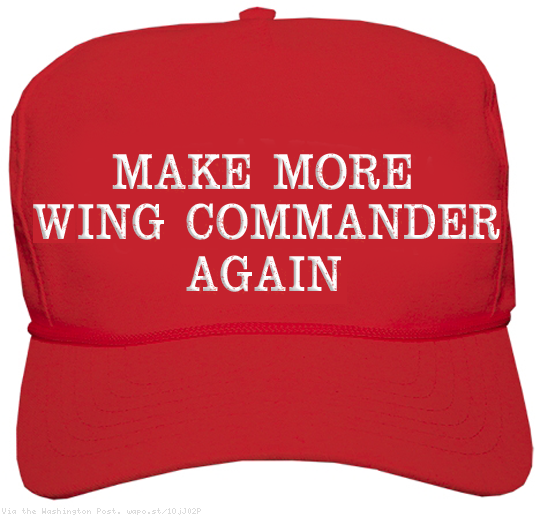 If anyone in the world were to get Wing Commander presents on their birthday in 2016, it'd be LOAF. He's celebrating his 35th this week, and he got a super cool snippet of WC art as a present. We know from the beautiful Dean McCall concept renders that a more familiar looking F-44 Rapier II was used in some of the very early work. Here we can see it in the storyboards too! A handful of British Electric Lightnings were ultimately modified to portray the CF-117B Rapier Is in the film. And Happy Birthday! 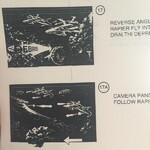 Truly wonderful gift from Sandi Gardiner: very early Wing Commander storyboards! Check out those Rapiers! DefianceIndustries has completed his Wasp model with the addition of its massive booster pod. It's now being integrated into the Vision Engine as part of the Secret Ops Model Upgrade pack. 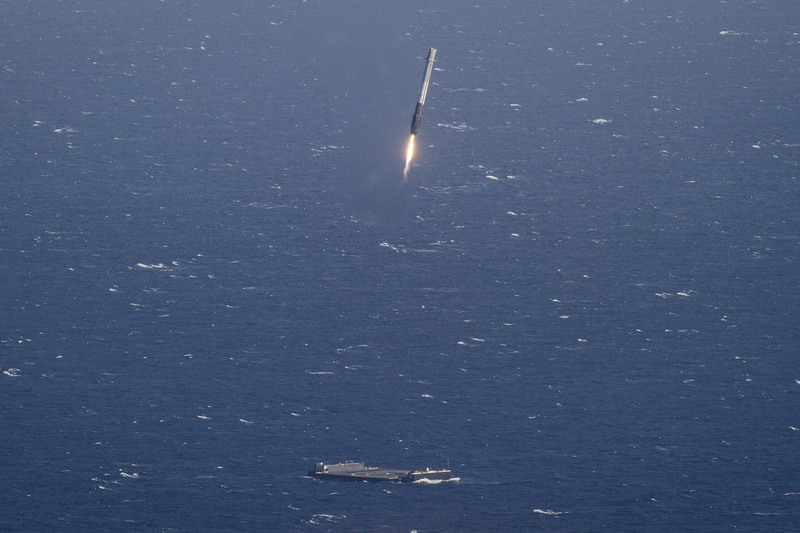 In the grand scheme of things, we almost always launch and immediate fire our booster to intercept incoming attackers. 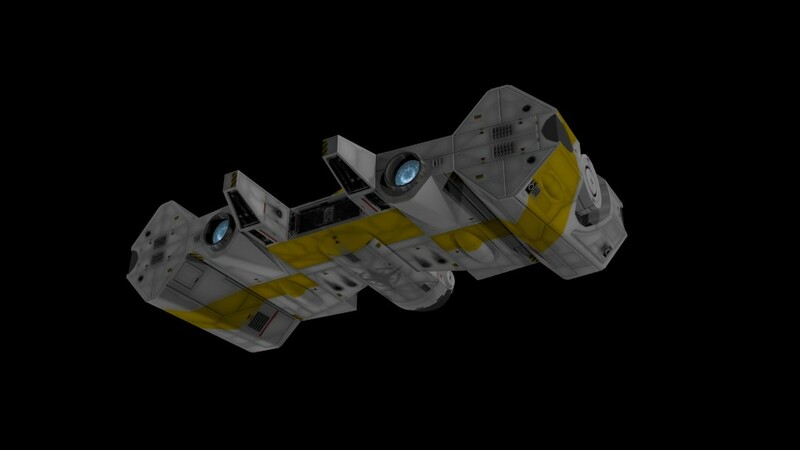 This means the vast majority of our time flying Wasps is in the booster-less configuration, but I've always felt like the cut down version of the ship was the one out of the place. Maybe I just got really attached to that gorgeous promotional render with the trio of fully decked out F-110s over a planet. Here's the F-110, now with the SRB attached. What's oddly fascinating about the Wasp to me is that in SO it's one of the best fighters in the game. Highly maneuverable, with one of the best gun and missile load outs to be found on Cerberus' flight deck. 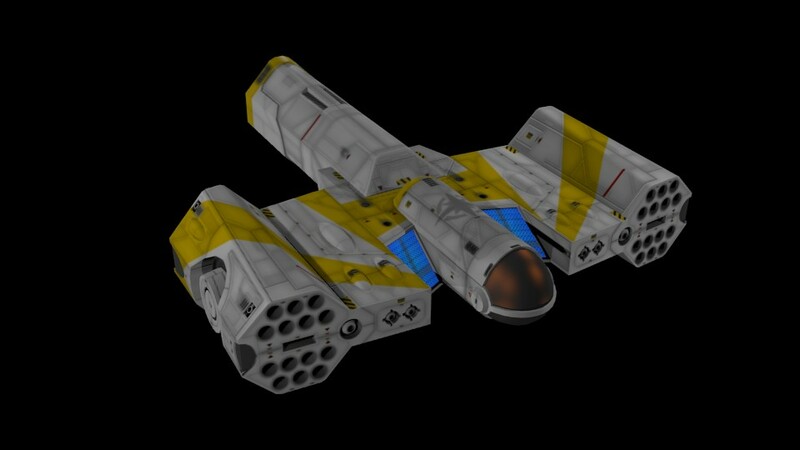 The Mosquito pods alone make it formidable, but couple that with some dust cannons and descent shielding, and it gives the Vampire a run for its money. But I agree its kind of an odd-ship-out as far as aesthetics goes. The 25th anniversary playthrough of The Secret Missions 2 has finally been posted to YouTube! Fans who missed the live streaming event can now find the archived video below. 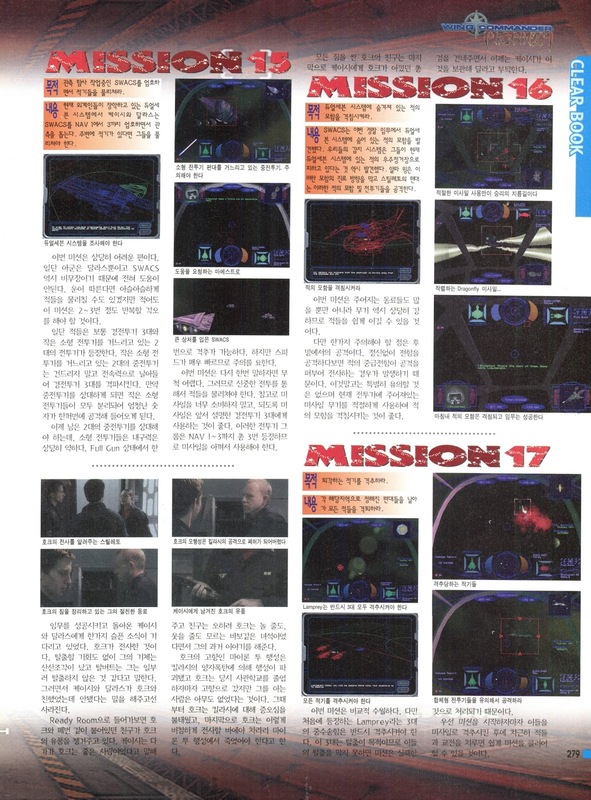 It's not just full of slick flying against Hhriss and Snakeirs - the nonstop commentary includes lots of great trivia and Wing Commander stories. Lando set up a super cool rig this time that included a green screen backdrop that displayed the rear cockpit view. 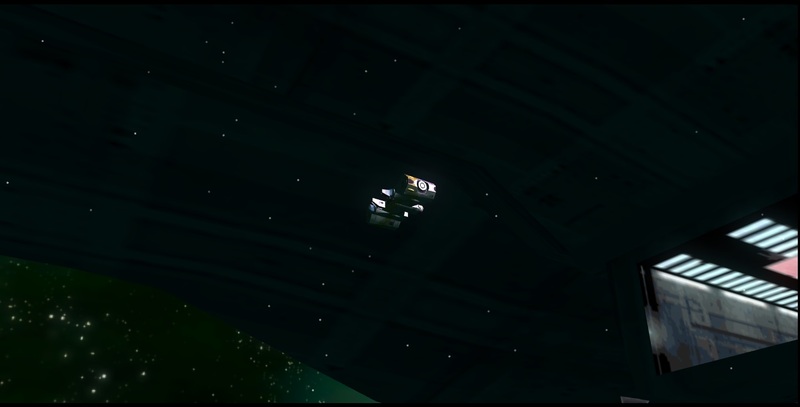 It even switched to a Dralthi cockpit for the under cover missions! 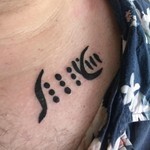 LOAF Gets A Wicked Kilrathi Tattoo! LOAF has further increased his Wingnut devotion with an awesome Wing Commander tattoo! 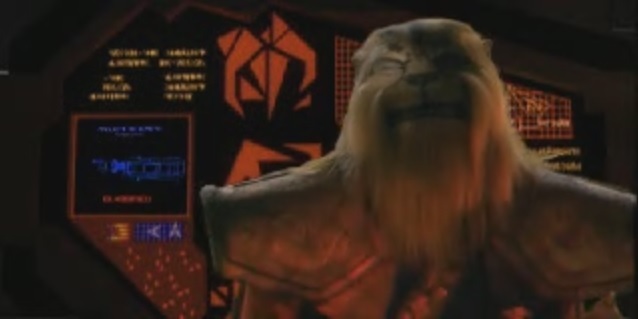 He recently had a section of Kilrathi characters permanently inscribed on his collar. It's the same text that Paladin hid under his jacket in the Wing Commander Movie. The Confederation Handbook explains that this is the name of the Kilrathi slave master from his time as a prisoner of war. 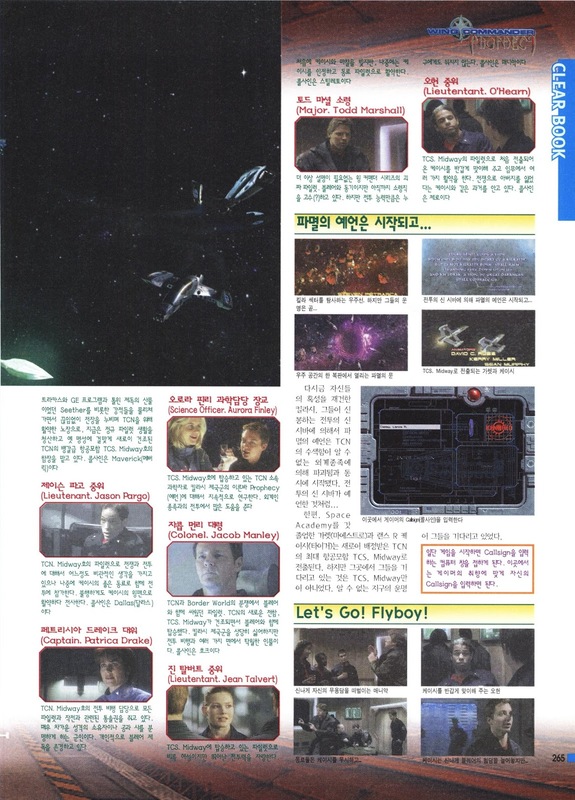 We don't see these letters depicted in the on-screen captions exactly as shown here, but they have a strong similarity to rest of the script created for the film. 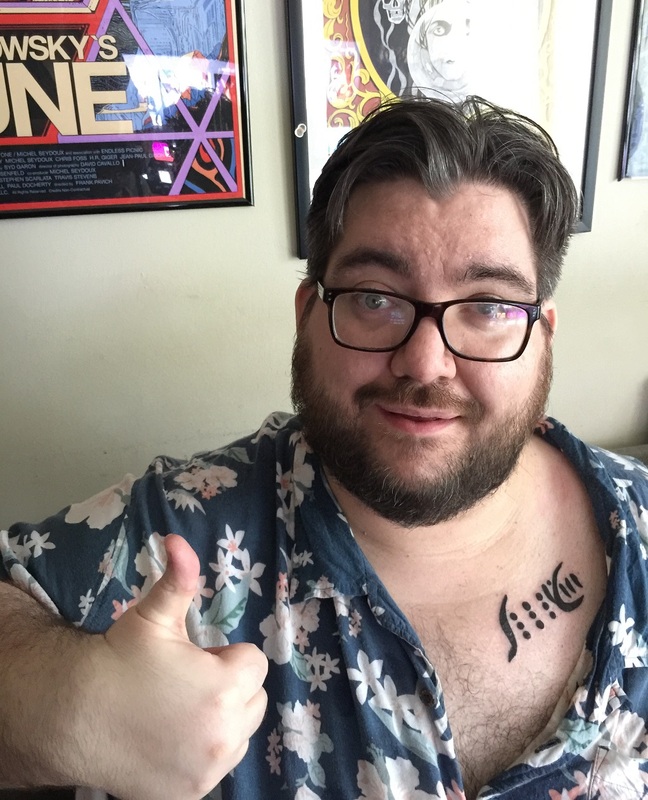 I've been listening to LOAF talk about getting this particular tattoo for years, and I'm very happy he finally made it happen! 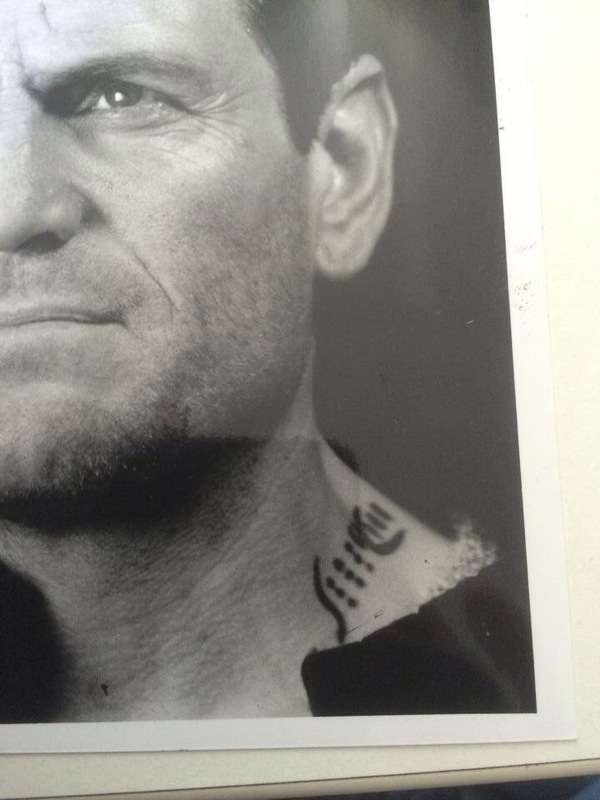 Extra bonus: LOAF's Death From Above Mobile Infantry tattoo also has a bit of a WC connection. It was worn by Johnny Rico in the movie Starship Troopers. Actor Casper Van Dien, who played Rico, had a brief cameo in Wing Commander 4 when Blair arrives aboard the TCS Lexington. 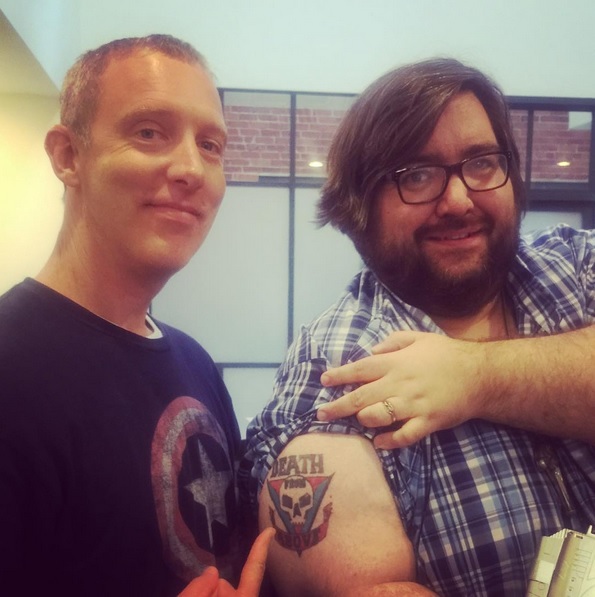 Extra, extra bonus: The tattoo was designed for the film by famous concept artist Jim Martin, who LOAF recently got to meet while working on some Cloud Imperium Games business! Those asking about the ink: I did it! Pretty painless, very happy to have made the plunge. 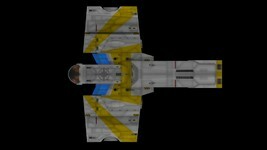 It's Paladin's Kilrathi prison tattoo from the Wing Commander movie! 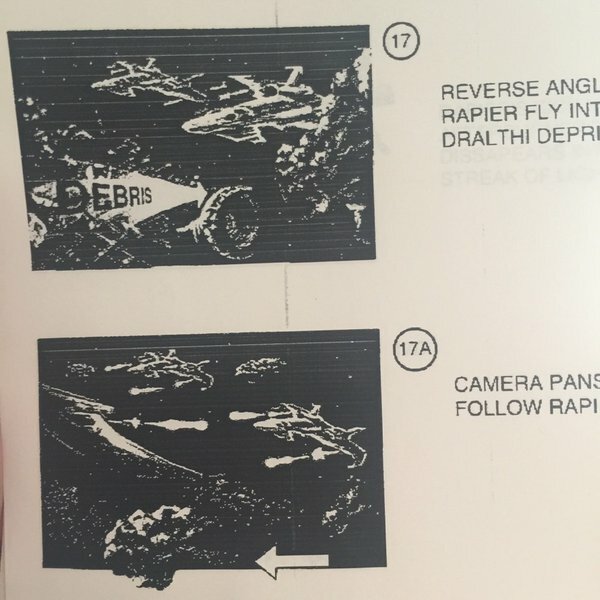 The scene that shows/explains it was cut from the finished movie; I recently tracked down the set photographer for a clear look! It felt like a good way to honor this most interesting current chapter of my life! You can find more diehard Wingnuts with WC-inspired ink here and here. 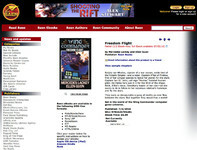 Freedom Flight "Half" Ebook Released! 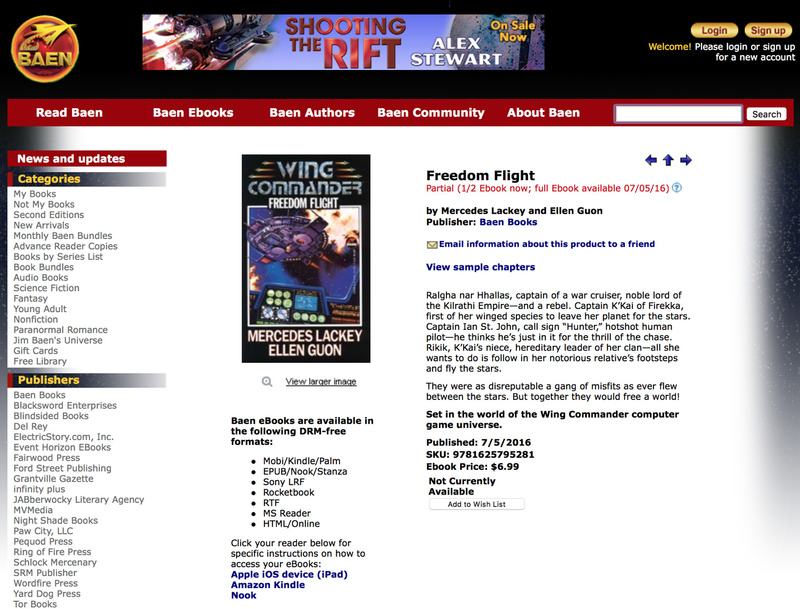 Baen has partially released Wing Commander Freedom Flight has an ebook! The company is known for putting out draft half-manuscripts for its upcoming novels, so even though the book is already long complete in this case, they've issues the first portion as a preview ahead of its full July 5 debut. 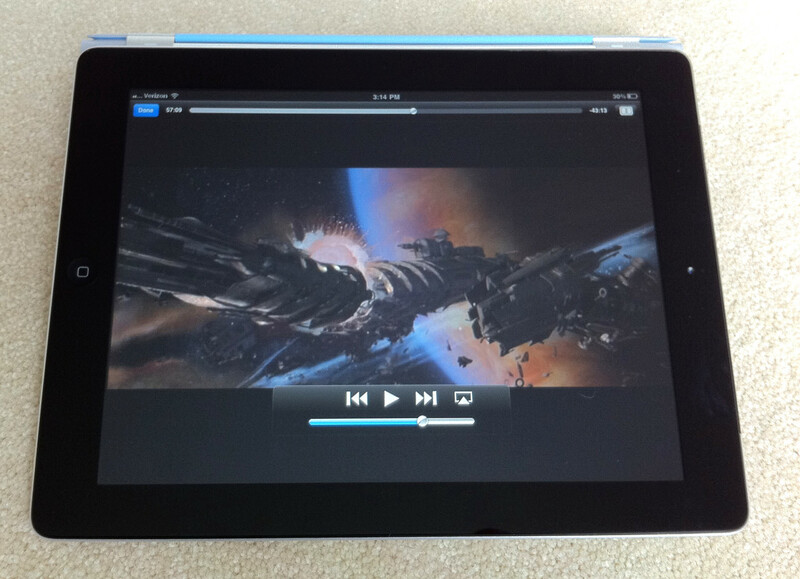 Fans can grab it now for $6.99 in a wide variety of DRM-free formats. 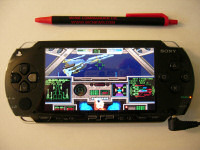 This one's well timed to coincide with the 25th anniversary of The Secret Missions 2. The story follows Hunter, Ralgha nar Hhallas, and K’Kai of Firekka in a desperate fight against the Kilrathi! 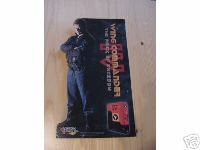 If you've never read a WC novel before, this is a fabulous opportunity - and purchases also demonstrate that Wing Commander is popular enough to bring the rest of the series out digitally! Find out more here. 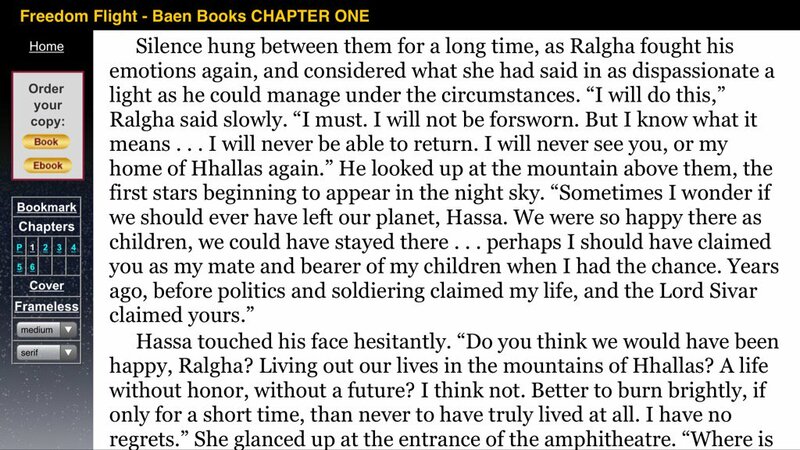 LOAF on the screenshot above: This passage from Freedom Flight, especially Ralgha's wistful line about a life unlived, has always been a favorite. Long time visitors will be familiar with Wing Commander Saga Plus, a series of patches to improve the user interface, usability and modability of the original Wing Commander Saga project. Luke and about a dozen other contributors have been slugging away at these enhancements with the goal of creating a German language conversion of the 2012 mod. Darkest Dawn was released last November, and is currently up to version 1.06. Hopefully enhancement patches like damage debris, multi monitor support and the improved fiction reader will someday be backported to the original WC Saga! 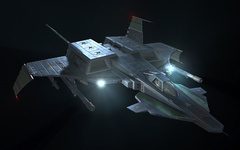 DefianceIndustries has shared some new information on the status of the Secret Ops Model Upgrade Pack. He's recently worked out some issues with his testing machine which should help streamline his efforts going forward. 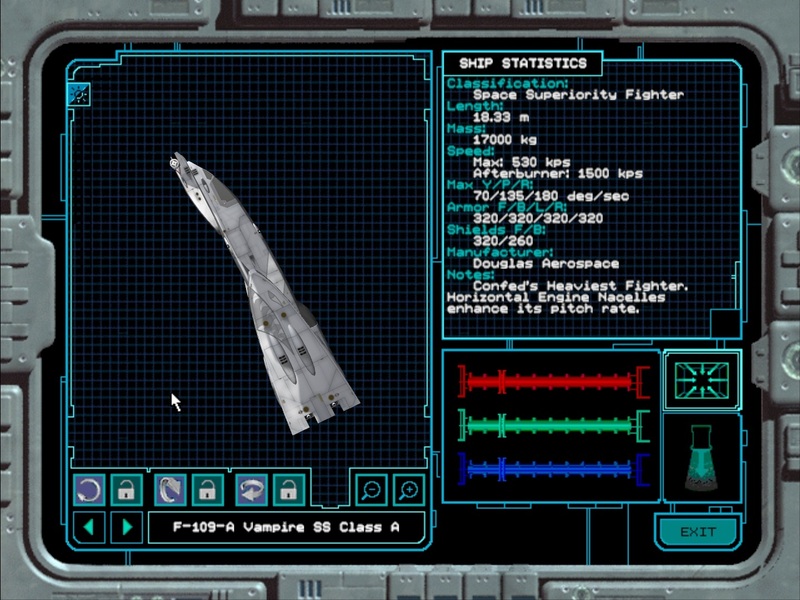 Meanwhile Dark Sentinel is putting the finishing touches on his Moray fighter, which will be one of the ships that will be integrated into the MUP shortly. 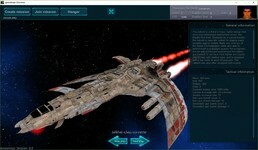 Everyone's efforts seem to be converging nicely on this very cool project! Quick status report: For the last month I've been dealing with a bug that caused WCP:SO in all its forms to die on my PC. The silly part was that it was only me nobody else on the planet seemed to have the same issue (as it related to 17 year old software). So I had to pull an old desktop out of mothballs and use it for model conversion and testing. It really screwed up my workflow. Happily, with windows latest patch, whatever it was is gone and the game runs fine again. So, I'm in the process of extracting a fresh copy and re-applying all my updates to get me back in shape. 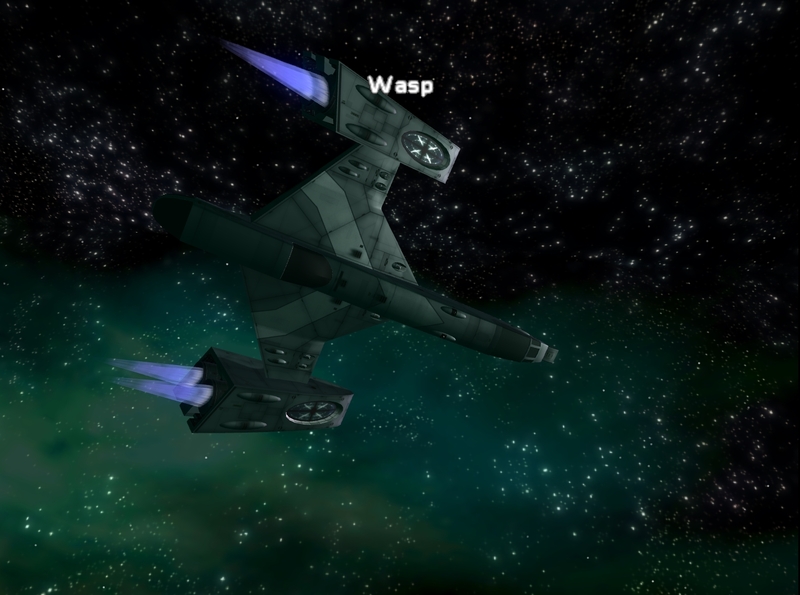 Pretty quick I'll have new shots of Dark Sentinel's awesome Moray and Wasp in the game. 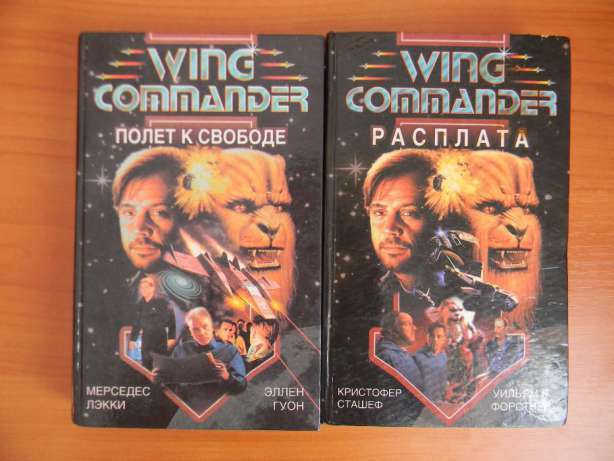 It's not every day we learn about new Wing Commander items, but AD recently uncovered what appear to be a pair of Russian WC novels. It's seems very possible that these are unauthorized translations, although they appear to have relatively high production values with hardcover bindings and custom art. Unlike some of the official books in other regions, these covers are a collage of actual Wing Commander scenes. However, despite the depictions of WC3/4, Google Translate suggests that these are the novelizations of Freedom Flight and End Run. 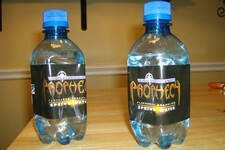 If anyone has a lead on how to acquire these for closer inspection, let us know! 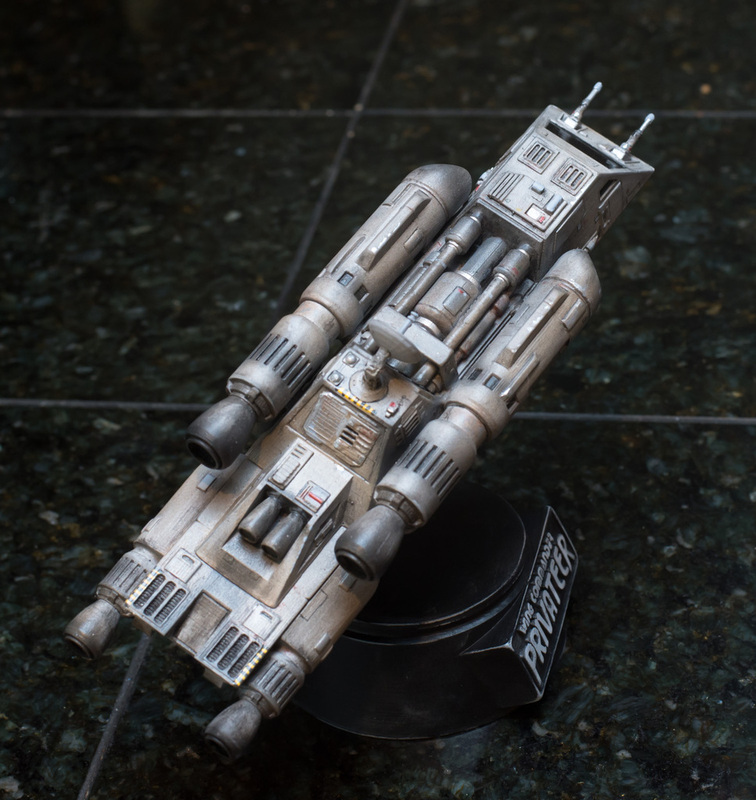 djfx has created an awesome new Tarsus miniature and also posted it online for fellow fans with 3D printers. 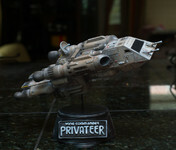 The ship is available to download at Thingiverse complete with drop-in detailed modules and a display base. It takes some assembly to finalize, but the results are worth it. He's taken these gorgeous photos of the copy he created and painted by hand. If anyone else puts one together, we'd love to see! 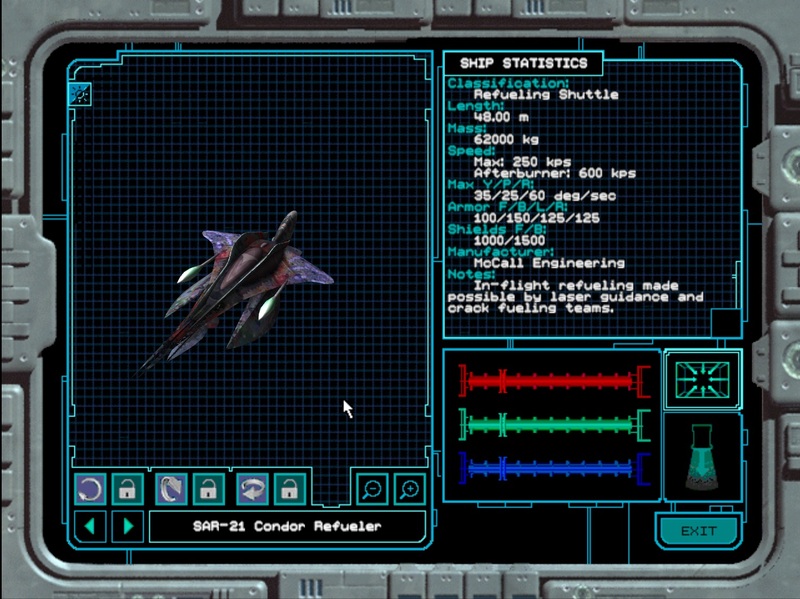 This is the starting ship (Grandpa's Tarsus) from the classic computer space action sim Wing Commander Privateer. If you have a 3d printer, you can make one for yourself. 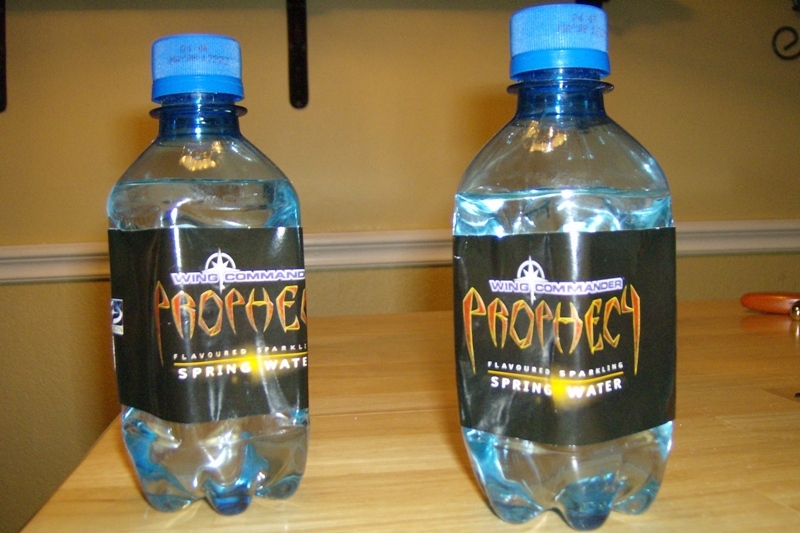 The example shown was printed on a Flashforge Creator Pro. It's been broken up to print mostly without supports. 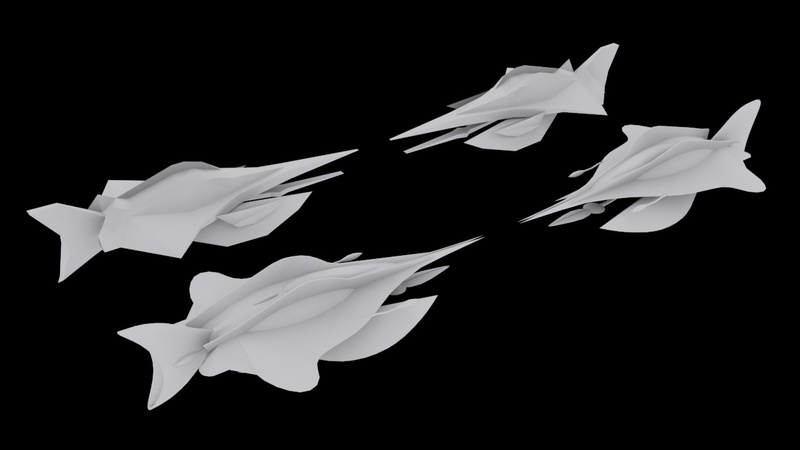 However there are a couple meshes that will need some support, these are isolated in their own STL file. 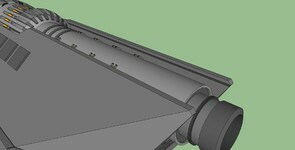 Requires a significant amount of assembly, I've uploaded exploded and assembled example STL files for reference. 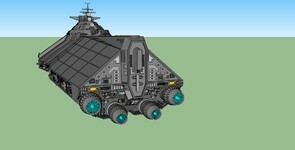 I also included a base to mount the finished ship to. 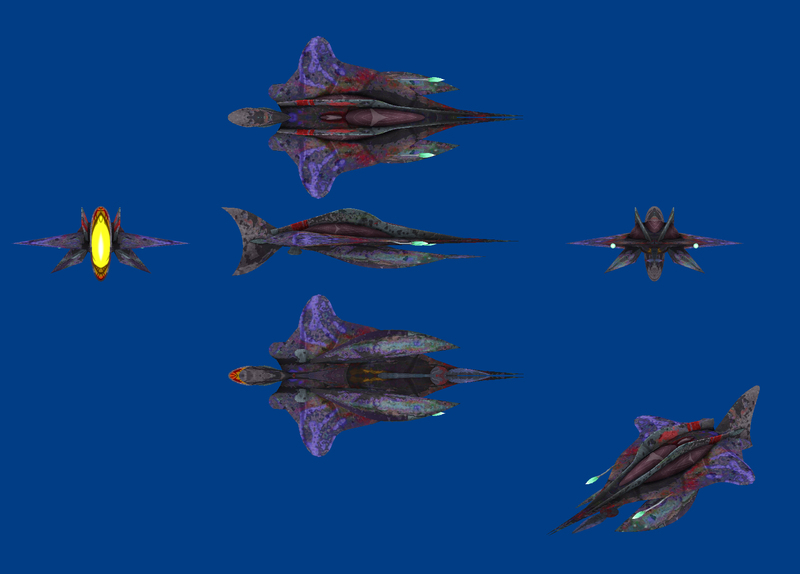 Check out more downloadable and printable WC ships here. Every day is a holiday somewhere, and GOG picked Cosmonautics Day to celebrate with a big Wing Commander sale! 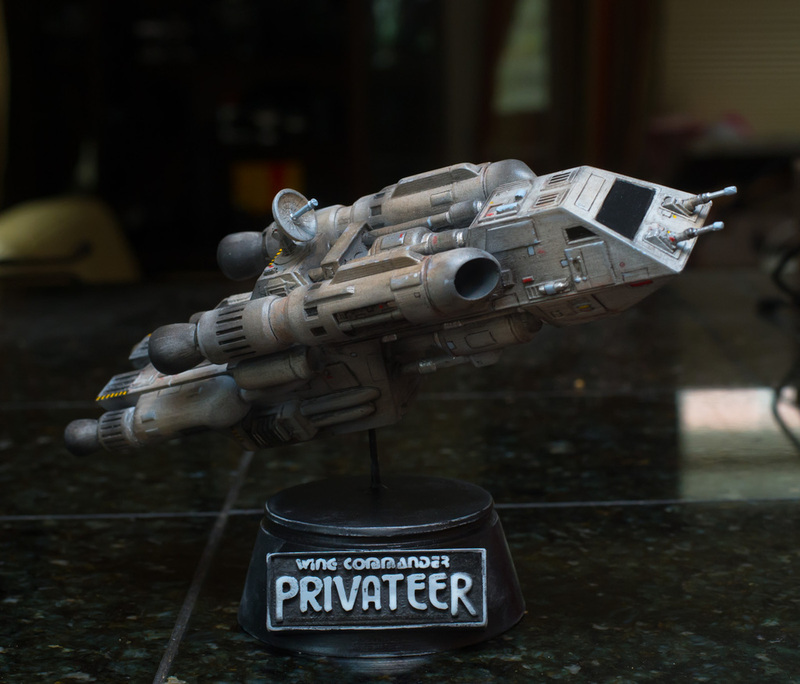 The series, minus the Privateers, is a solid 75% off for the next three days. Both Privs are usually included in WC deals, so their omission is somewhat unusual. 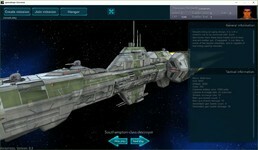 But fans can instead pick up FTL, Nexus or Lifeless Planet on sale this time around. 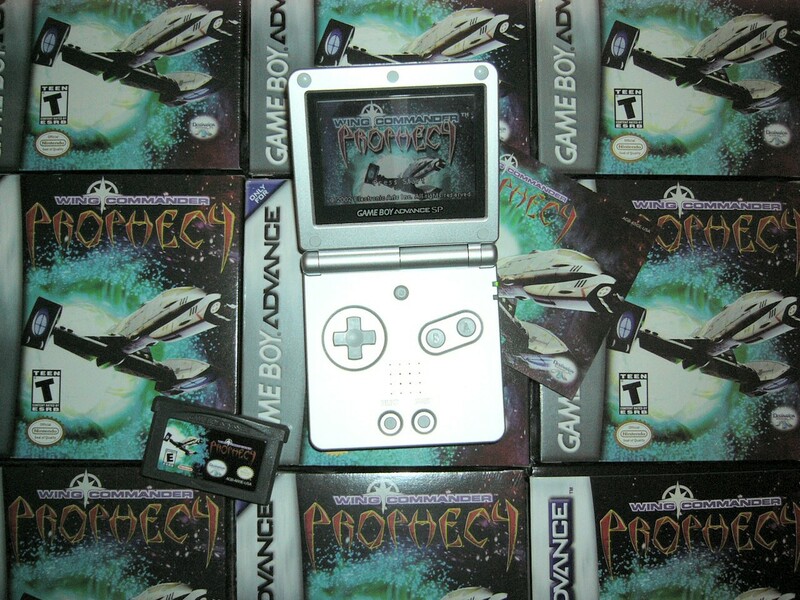 Check out the deal page here to complete your collection - or gift it to a friend! On days like these, when our earthly problems seem to hold almost zero gravity within the vastness of space, one is more prone to pondering the really important questions. 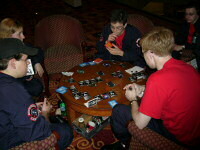 Like: Do astronauts pass the time by playing space-themed games? How do aliens depict humans in their videogames? Did Sandra Bullock say something to anger all that space-debris that was chasing her around? Humanity's frequent space-walks have not managed to answer any of them yet but don't let that stop you from getting one of these (inter)stellar classics, and celebrating Cosmonautics Day in the most appropriate way known to man. 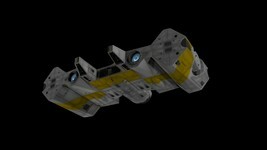 The Wing Commander series has grown into a gaming phenomenon so huge, that it can be visible from orbit. 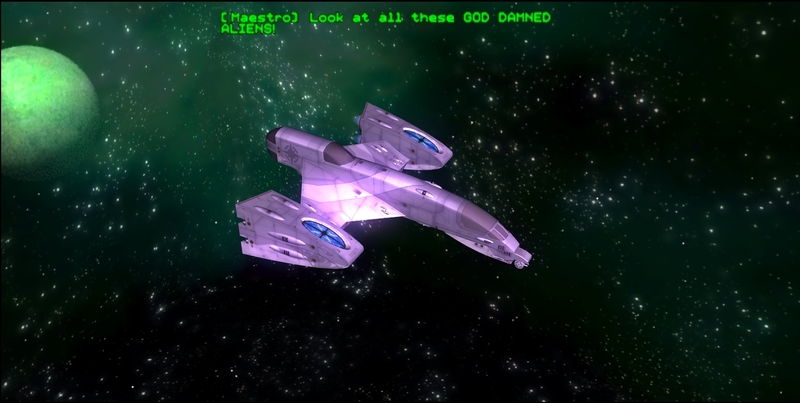 Through a fine-tuned blend of FMV cinematics, intense space combat, and dramatic storytelling, they reshaped the simulation genre and introduced countless players to the allure of spacefaring adventuring. Thanks to centaurianmudpig for the tip! After taking a couple years off to work on other projects, callitri has returned to finalize his sweet Concordia model. We don't see too many people creating Wing Commander Movie ship models, but some film designs like this one are pretty fantastic. 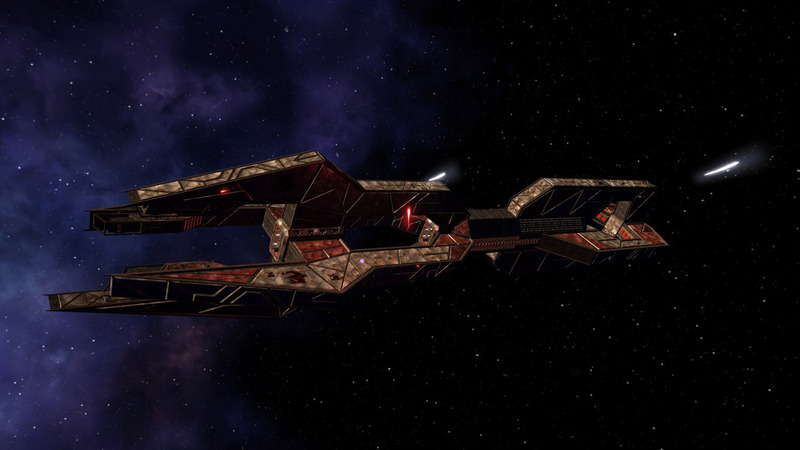 She's classified as a super cruiser, which seems to have a similar vibe to the historical battlecruiser archetype. While there's obviously tradeoffs with any design, it certainly seems like the concept has merit for any space navy that spans large swaths of the galaxy. callitri's latest take on the vessel utilizes some straightforward coloring techniques to fill in the detail without needing to build full bore textures. 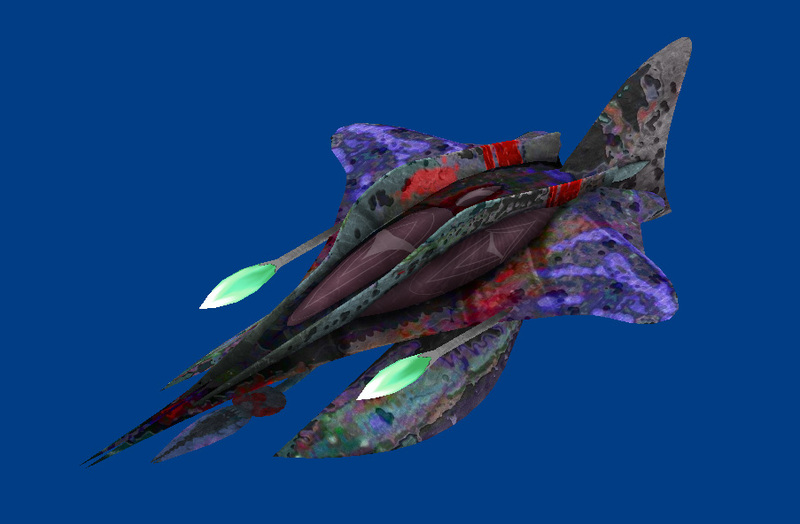 At about two million polygons, the model's not likely to show up in your favorite fan projects any time soon, but we'd love to see more art with it in the future! 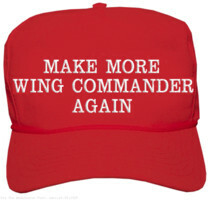 Let him know what you think at the CIC Forums. I guess this is a surprise to all, trust me I didnt think I would touch this model again. This forum is the only place I ever got comments. I am not doing these things for recognition, but let's face it: it feels good if people at least say something about it. I know I can't match other people's skill who can properly texture and render and all those things I dont even know the term for. Since no one is crazy enough to texture a model with this high poly count, I started doing what I can basically using Google Sketchup's color functions (limited as they are). 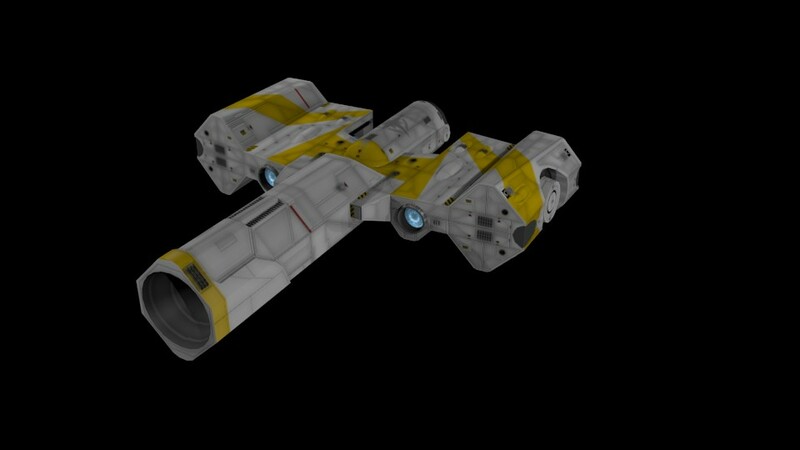 I dont even know how to render a picture of my model in a certain res size. 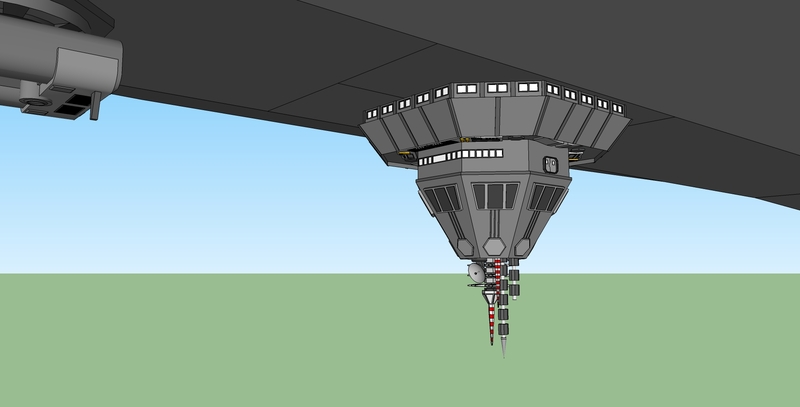 If anyone knows Google Sketchup more than me and knows if there is a function I would be grateful. Best I can do is use the export function and have a resolution that the application sees on my screen (not that good). This is a final version (for now :) ). I can't call it textured. Let's say colored; hope you like it . 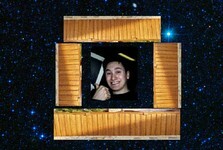 If anyone is interested, this is my deviant art page. Again thank you all for the support you gave me. 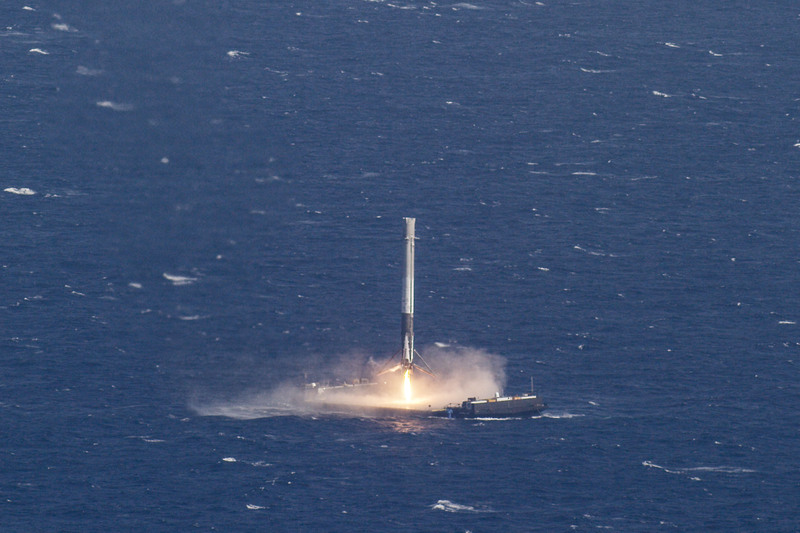 We interrupt your regularly scheduled Wing Commander news to share another amazing feat in the real world of space ships. 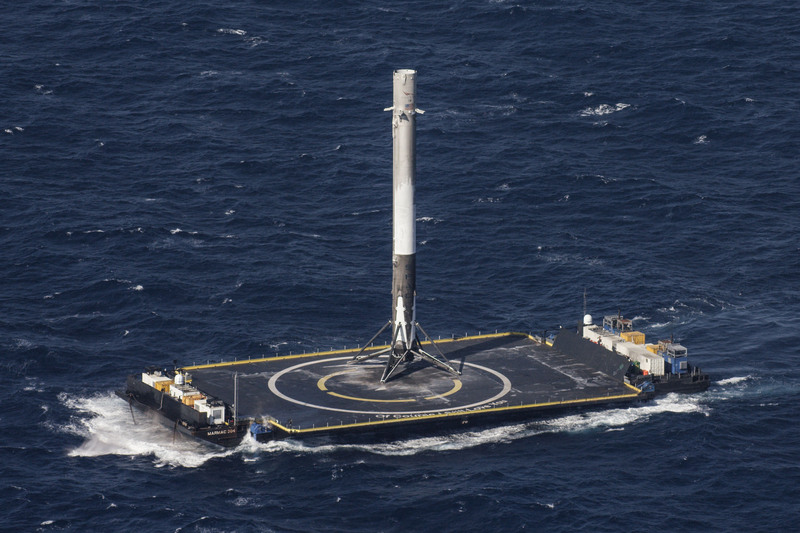 Yesterday SpaceX successfully landed their Falcon 9 rocket on a drone barge rocking in the ocean. 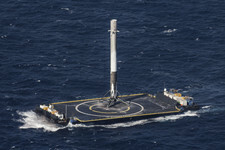 The ability to vertically land on either solid ground or water has the potential to dramatically lower the cost of sending stuff into orbit. This mission's payload to the International Space Station included an inflatable habitation module, and the system is projected to carry people as soon as next year. 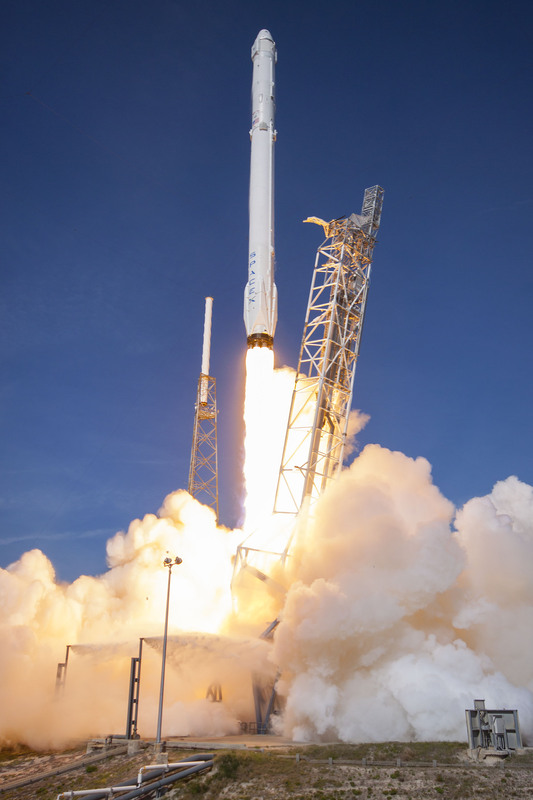 It's barely been five years since SpaceX became the first private company to launch and retrieve an orbital vehicle - the pace of progress is amazing! 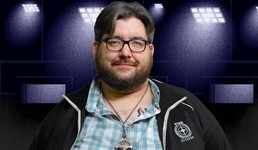 The The Secret Missions 2: Crusade turned 25 years old last Wednesday, so tomorrow LOAF is taking charge of another streaming play through on CIG's Twitch channel. 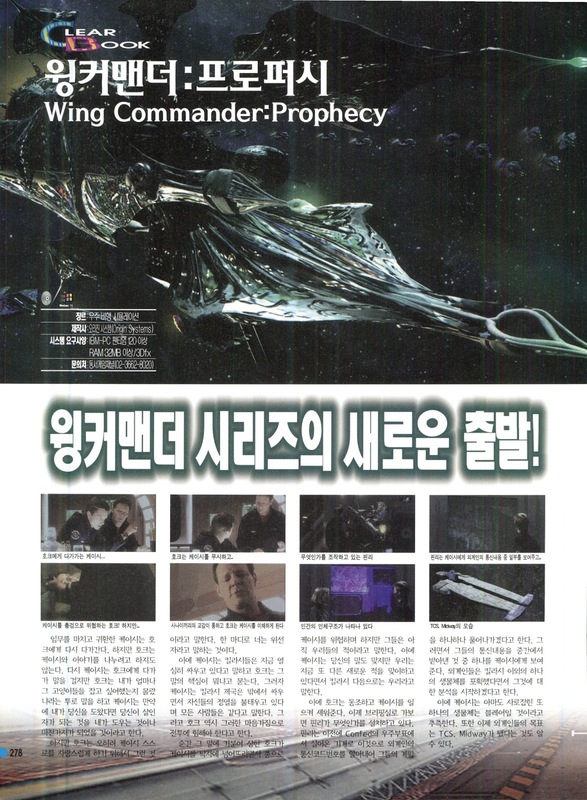 Besides the live action, these events have constant commentary, guest appearances, Wing Commander trivia and cool giveaways. 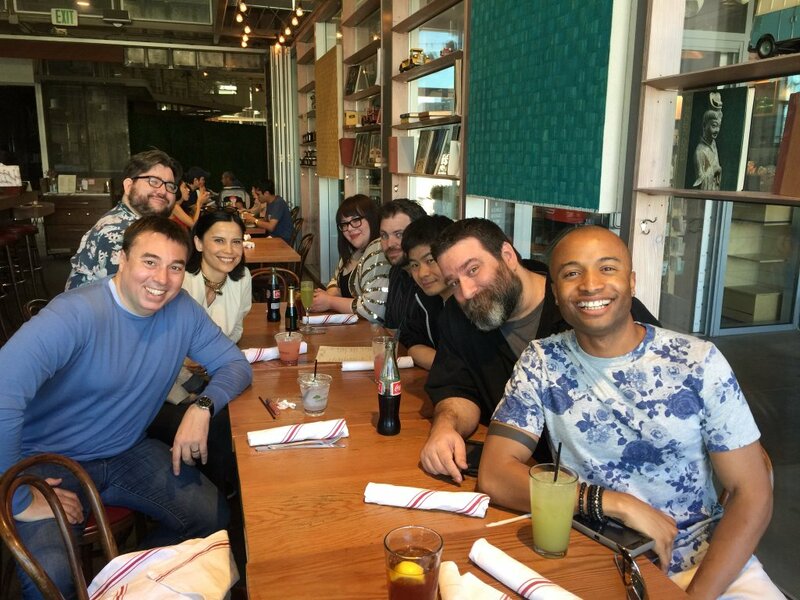 During last year's play through of Secret Missions 1, Chris Roberts made an appearance and answered viewer questions for over an hour! Tomorrow's broadcast will start at noon, US Pacific time. Look here if you need help converting that to your local time. Dark Sentinel is back with another one of his gorgeous Nephilim models. 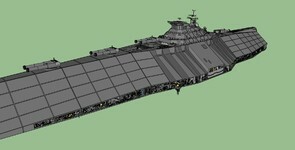 The Moray has now been rebuilt with ten times the detail of the original model. New side-by-side pictures below show off the comparison: the spaceframe itself is more sleek, discrete objects like the guns and engine are better defined and the textures have a much sharper and more organic look. 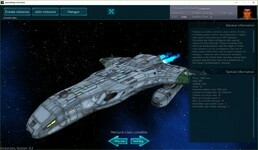 Let DS know what you think at the CIC Forums! You all know this ship. The most basic bug fighter, absolutely multirole and perfectly useless, being just insufficiently equipped for any task. Though you'll meet it everywhere, it's you first and last opponent in every fight. 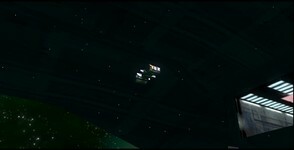 Patrol the sector, wipe the Confed patrols, support and cover bombers, protect capships, harass space station - they're just everywhere. Meet the Moray! 288 -> 2614 polies, and well, I'm happy with the shape, even if it follows the texture and arts, rather than the original model. Textured in almost glorious 2048x2048. 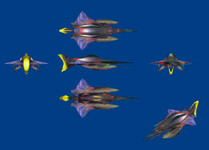 The ship changed a lot and, unlike Manta, one can easily tell where's the old Moray and where's the new, but oh well. C&C welcome as always. 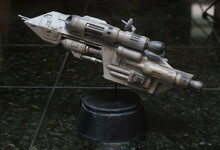 Joe Garrity has posted a second teaser for his upcoming video series that will highlight the Origin Museum collection. 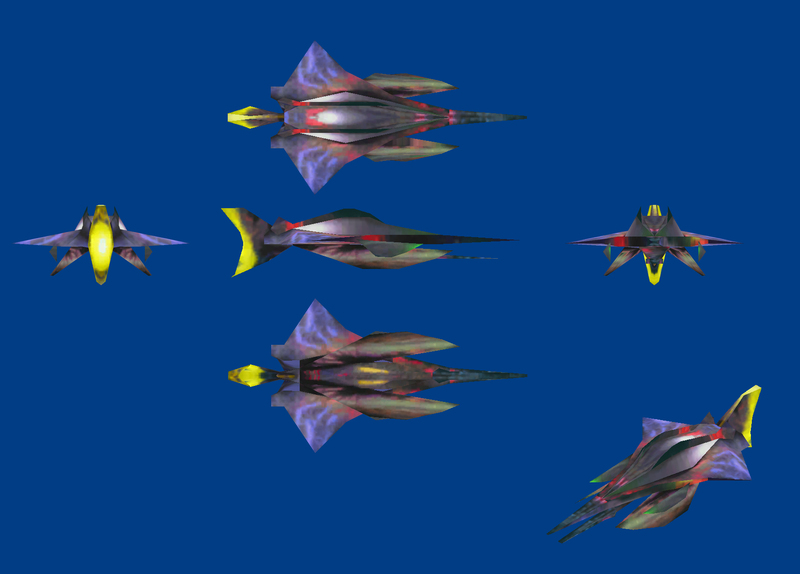 This one reveals his vast menagerie of Kilrathi from Wing Commander 3. If you were wondering where everyone went after the destruction of Kilrah, now you know! Thanks to Andy Aldrich for the heads up! NinjaLA's latest sketch is a glimpse into a very energetic battle. 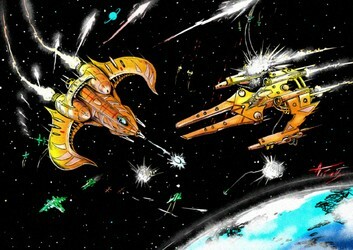 It features a Fralthi under siege by a Confed strike carrier launching numerous fighters. Sharp-eyed Wingnuts can spot Hornets, Scimitars, Broadswords and even a couple Rapier Is in the background. The defenders include Salthi and Dralthi and perhaps even some Vaktoth, but the real star is a gloriously lethal Gothri heavy fighter. It's quite a melee! wanted to do one a bit more illustration style 5-6 hours.. I think it turned out pretty good. a quicky.. 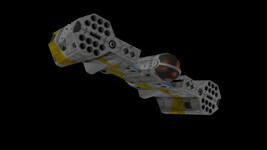 I felt like making new stuff :D space.. pew pew.. grr argh! DefianceIndustries has another new fighter for the Confed arsenal. His Wasp is now ready to be integrated into the Secret Ops Model Upgrade Pack. 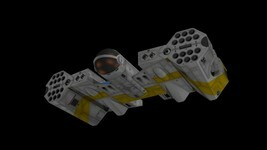 While the ship doesn't look all that much like an insect itself, those enormous cluster rocket pods certainly look like they sting! Update on the MUP. 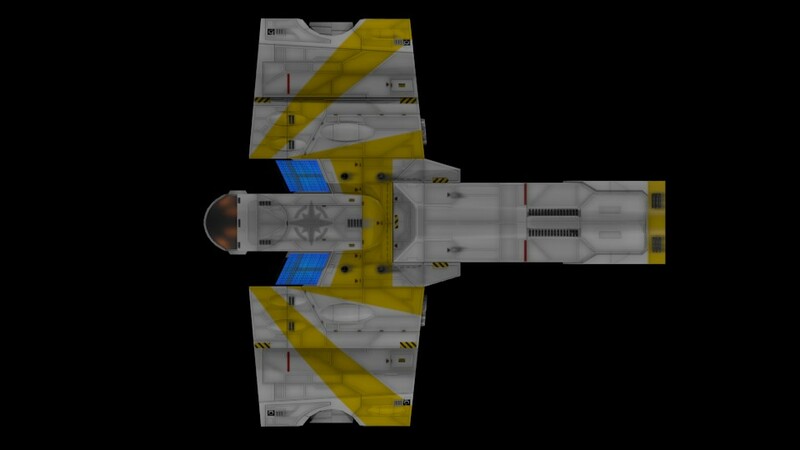 Finished off the fighter part of the F-110. It's ready for conversion into the game. 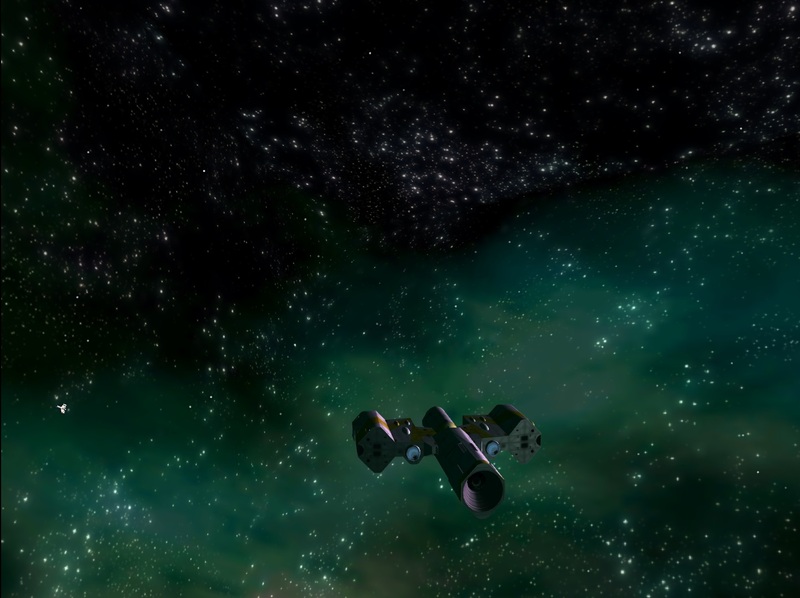 Still putting the finishing touches on the booster pack, so I'll post in-game shots when I'm done. 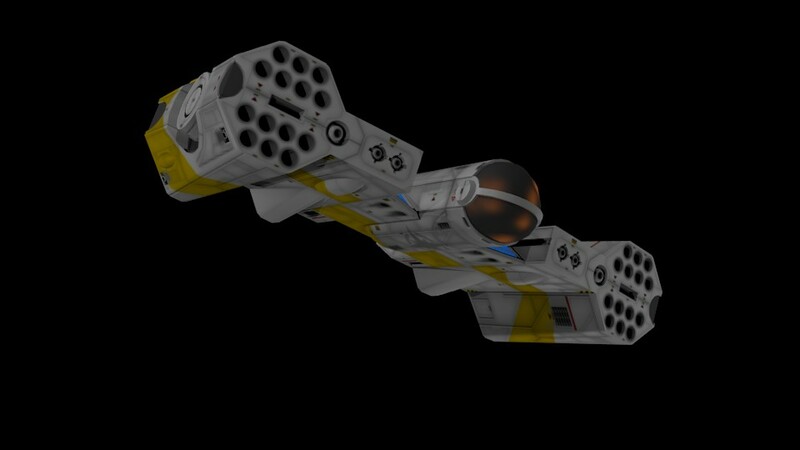 In the meantime: Here are the renders for the Wasp. Secret Missions 2 Playthrough Streaming This Saturday! LOAF is keeping the streak alive! The Secret Missions 2: Crusade turns 25 years old this Wednesday, April 6, so he'll be leading another streaming play through of the game this coming weekend on Saturday, April 9. Although the game will once again throw unfair odds at his trusty Hornet, LOAF is up to the challenge. Fellow Wingnuts will also get to see how he flies a Dralthi and fights against terrifying Hhriss and Snakeirs as he defends the Firekkans. More details will be confirmed closer to the event, but expect a late morning (US Pacific Time) start to the event on Twitch. 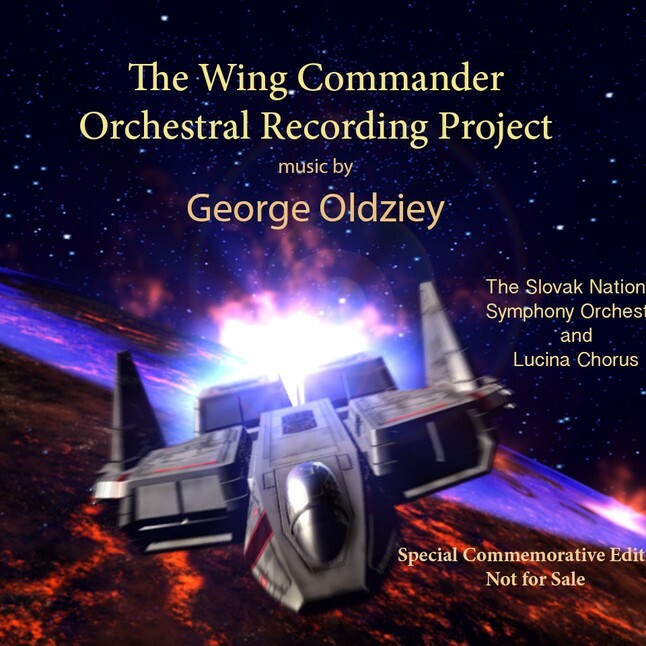 Second Edition Of Orchestral Wing Commander Recordings In The Works! 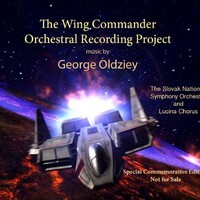 I just entered the FIRST note of the first orchestration for volume 2 of the Wing Commander project! WC3 winning endgame! Stay tuned! Many thanks for the CD you sent recently and what a wonderful CD it is too! Absolutely superb. Although it popped through my letterbox a week or so ago, the first chance I had to listen to it was in my car yesterday as I drove out into the British countryside, south of London, on a beautiful sunny (but cold) day on some nice quiet county roads. I recently bought a 5 series BMW with a really good sound system; so your music accompanied my journey magnificently. I’m sure the car was going faster than usual too! I thought the CD was very well presented, great graphics and brilliant photos. This is really quite an achievement George and something you must, and rightly so, feel very proud of indeed. I am looking forward to having the house to myself for a couple of hours so I can play it on my lounge sound system at warp 9.2 to get the full impact. Can’t wait. Well my friend, it brought back so many wonderful memories of our time together in Bratislava, both in the studio and in the bar! I sincerely hope we can do it again in the not-too-distant future. The CIC loves cool Wing Commander-themed gear, but we haven't been able to design anything in a long time. Our last batch of hats was really popular, so we've come up with this new concept. What do you think? 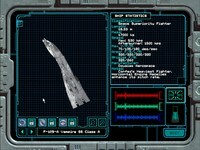 New documents have potentially uncovered the startling reason that Hobbes was able to so easily download and transmit top secret Behemoth documents in Wing Commander 3. Draft notes reveal a deleted passage from Bill Forstchen's WC3 novelization that flashes back to the events of 2668. Apparently President Harold Rodham maintained a private infoburst server that he accessed via an unsecured Quine 3000. 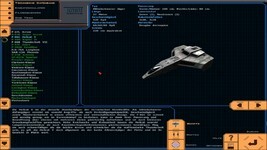 The classified blueprints were transmitted unencrypted to and from his electronic TCN address, which was easily intercepted and relayed by Ralgha nar Hhallas. It's been nearly 20 years since Akkbar departed for the Border Worlds, but the threat remains! So today we're proposing to build a giant space wall to keep him away. And we're going to make him pay for it! Here's an idea of what it might look like.